Solve a crime and see the sites of Vegas! 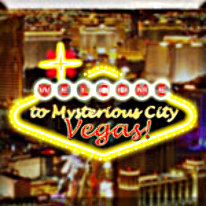 Pack your bags and head for the dazzling lights of the Las Vegas Strip in Mysterious City Vegas. Your VIP suite awaits, but with unsolved crimes around every corner, you're here with a mission: Use your detective skills to uncover over 1000 hidden objects and apprehend a casino thief! Clues abound as you stake out casino tables and opulent Vegas locations. Casino mini-games including cards, slots and bingo take you to the heart of the action...and help you earn extra points! Just be careful who you trust - the thief could be closer than you think in Mysterious City Vegas.